Kejriwal said that the Delhi government has held talks with the Uttar Pradesh government to concretize the canal through which water comes to the national capital from the neighbouring state. 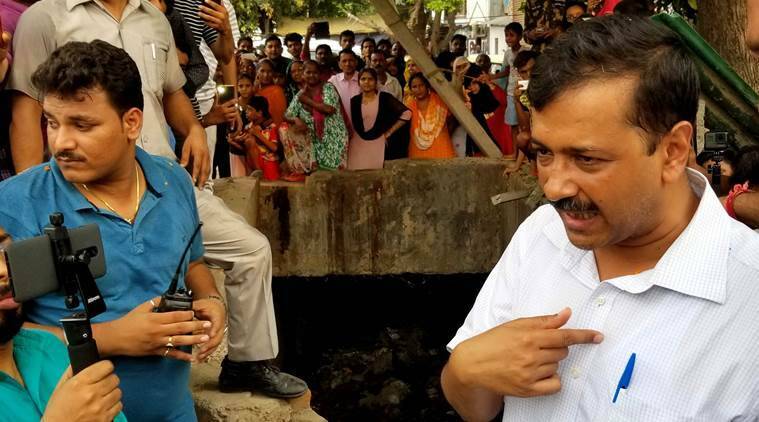 The Delhi government is rolling out several projects to increase water availability in the city by 15 to 20 per cent in the next two years and 50 per cent in five years, Chief Minister Arvind Kejriwal said on Tuesday. The chief minister said that Delhi would adopt Singapore model for water treatment, under which water from sewage treatment plants (STPs) treated to high quality level will be taken to Palla and released in Yamuna channel. “Water will then flow and travel up to Wazirabad. In the process of travel, water will further purify in a natural manner. Then it will be lifted at Wazirabad and treated further at Wazirabad WTP. “After final treatment at Wazirabd, the water will be supplied to households as potable water. These are the datelines for phase-wise roll-out of the water treatment process,” the government said in a statement. Talking to reporters here, the chief minister, who inspected the Coronation STP in North Delhi’s Burari, said several projects of the Delhi government would put an end to the city’s water woes. The chief minister added that the work of the Burari STP would be completed by June next year. Current water availability in Delhi stands at 900 MGD (Million Gallon Daily), he said. The demand, on the other hand, is around 1,100 MGD. “Rolling out several projects to increase water availability by 15-20% in next 2 yrs n 50% next 5 yrs. Hopefully, no water problem in Del after that,” Kejriwal said on Twitter. “Till then, as projects start, water problem wud keep decreasing (No increase in water availability for several yrs before our govt) (sic),” Kejriwal tweeted after his inspection. On the recharge of underground aquifers, the chief minister said at least 200 out of city’s 1,200 water bodies would be revived in the first phase. “Reviving these lakes will lead to increase in groundwater level in the surrounding areas…. We also plan to inject treated STP water into the ground to ensure that groundwater level does not fall, especially in areas where groundwater level is fairly high as of now,” Kejriwal said. He said that the Delhi government has held talks with the Uttar Pradesh government to concretize the canal through which water comes to the national capital from the neighbouring state. “The UP government has suggested that a consultant be hired to look into the possibility of concretizing. The Delhi government will bear the entire cost, which may lead to saving of around 150 MGD water as currently a lot of water is lost due to seeping,” the chief minister added.